Thomas Denyer was the youngest son of Thomas Denyer and Mary Ann Denyer, nee Carver, who had married in Midhurst in 1888. In 1901 Thomas was 7, and living with his parents, his brother Albert (11) and sister Alice (9) in June Lane, Midhurst. His father was an agricultural labourer, aged 43. By the 1911 census there had been a number of changes. The family still lived in June Lane and Thomas was still working as a farm labourer. Albert was a gardener and Thomas, a carpenter’s apprentice. Alice does not appear but Alfred Carver (21), nephew, and Elizabeth Ellen Carver (9), niece, had joined the household. Alfred was a groom and Elizabeth at school. Alfred and Elizabeth were the children of James Carver and his wife, Ellen, nee Denyer. In 1901 they were living in Bex Mill Cottages, Heyshott, Sussex. James Carver was a carter at the flour mill. He was 42 and his wife 39. As well as Alfred, who was 11, there were two other boys: William (8) and James (4). By 1911 James Carver was a widower and, with his youngest son, James (14), was living in Birdham, Sussex, where they were both working as carters on a farm. Ellen Carver died in 1905 aged 43 and Elizabeth and Alfred joined their Uncle and Aunt in Midhurst. William (18) was living as a boarder in Stone Wall Cottage, Bosham, Sussex and working as a carter on a farm. Alice Denyer (19) was working as a parlour maid and living at St Anne’s Hill, Sheep Lane, Midhurst. She was sharing accommodation with Louisa Levington (50), maid and Kate Hoard (31), cook. The Denyer and Carver families had strong links as Thomas and Ellen Denyer were brother and sister and united the families when Thomas married Mary Ann Carver. James Carver and Mary Ann were also siblings and James married Ellen Denyer. They had a joint wedding ceremony on 20 October 1888 in Midhurst Parish Church. Thomas Denyer enlisted in Midhurst. At the outbreak of war in August 1914 the 87th company was based in Hounslow, as part of the 22nd Division. They later moved to Aldershot for final training after being transferred to the 12th Eastern Division. 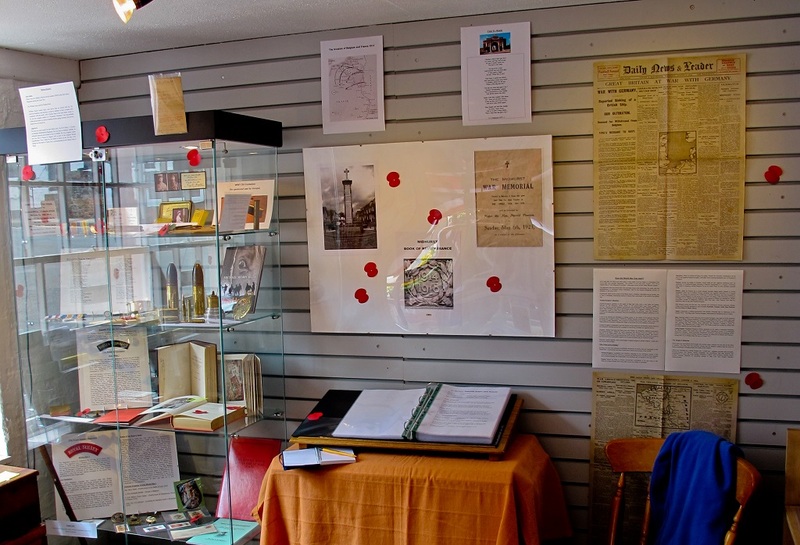 They landed in Boulogne between 29 May and 1 June 1915 and were initially based at Divisional HQ in Nieppe. On 30 September 1915 they saw front line action at the Battle of Loos, where 117 officers and 3,237 men were recorded as killed or missing. On 10 December 1915 they were involved in action at La Bassee Canal at Givenchy. Following a further period of training they returned to fight at Flesselles and then Baizieux, before being placed in reserve at Hencourt. On 3 August 1916 they were at the Battle of Pozierres and successfully captured the 4th Ave. Trench. The fighting was very heavy and they were later withdrawn and the company did not go back to front line duty until May 1917 when they fought in the First Battle of the Scarpe. 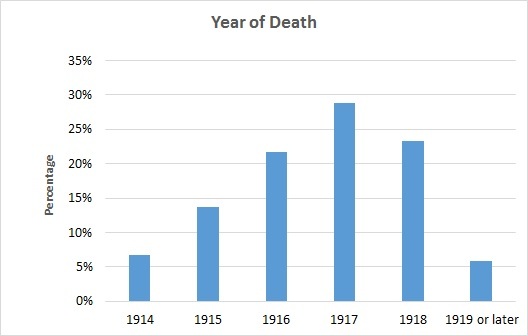 In August 1917, a year after Thomas Denyer’s death, the Royal Engineers had grown to a force twelve times larger than it had been in peace time. 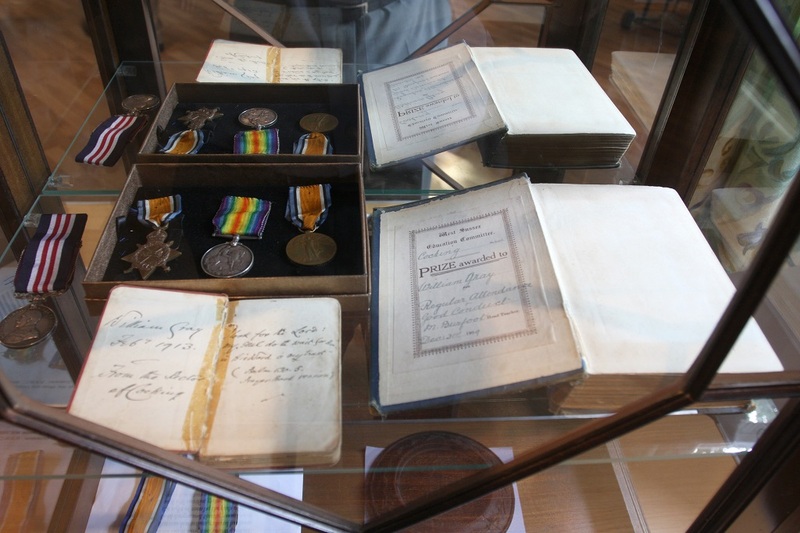 Thomas Denyer was awarded Victory, British and 1915 Star medals. 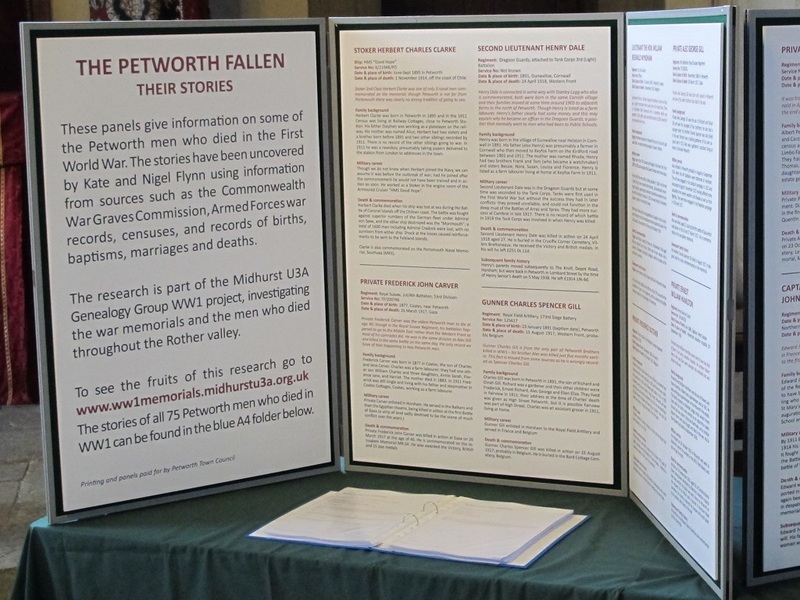 Albert Denyer and Alfred Carver are listed on Memorial Boards in Midhurst Parish Church. 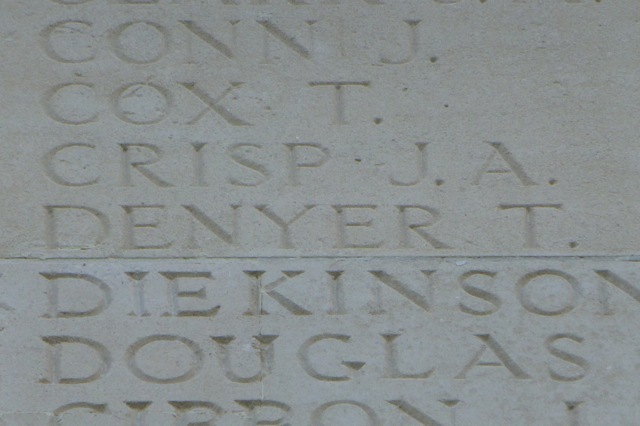 Thomas Denyer was killed in action on 4 August 1916, aged 22. He is buried at the Departement de la Somme in France. 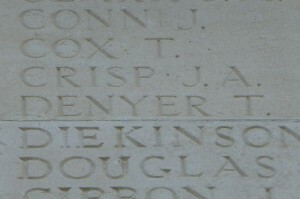 He is commemorated on Midhurst War Memorial, Memorial Panels in Midhurst Parish Church and Pier and Face 8A and 8D Thiepval Memorial. 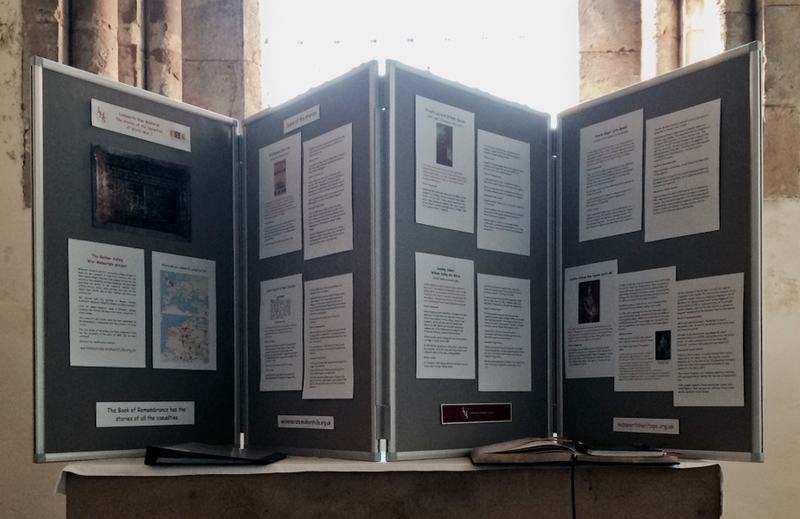 Mary Ann Denyer died in 1915, aged 60 and Thomas Denyer died in 1924, aged 67, both in Midhurst. James Carver died in 1922, aged 64 in Chichester. Albert Denyer died in Chanctonbury in 1963, aged 73. Alfred Carver died in 1966, aged 77 in Midhurst.